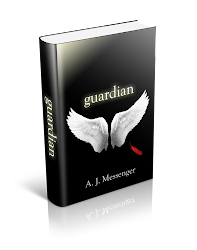 Home » Book 4 , Book Four , Guardian Series , Pre-Order , Return » Book 4 is Almost Here! Order now for Dec. 8th Release! Book 4 is Almost Here! Order now for Dec. 8th Release! It’s just days now! 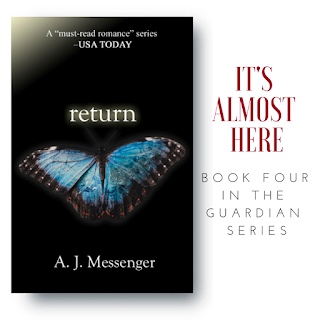 Return, the fourth book in the Guardian Series is almost here! Pre-order now so you can be the first to find out what happens next on Dec. 8th! You may already know that I originally conceived of this series as a trilogy. I knew that readers would feel bittersweet (of course) about Declan and Alexander’s sacrifice for their daughter, but I also knew readers would enjoy imagining the happy ending that we all know Declan and Alexander ultimately experience (and deserve!) J. After publishing Revelation I started writing a completely new book, but I kept getting ideas about Declan and Alexander’s continued journey (as well as Mira and the rest of the characters) and I started writing them down and one thing led to another and now Return, book four in the series, is the result, and it brings the story full circle for everyone involved. I’ve heard from so many lovely readers and I know that many would like to read and experience what happens next rather than just imagine it. So, if you’d like to find out how Declan and Alexander rediscover each other and reconnect with their past, pre-order Return now!